After a long time there is some news worth sharing. The new The Lion King (2019) teaser has been released here by Walt Disney. The second born is responsible to lead The Lion Guard. 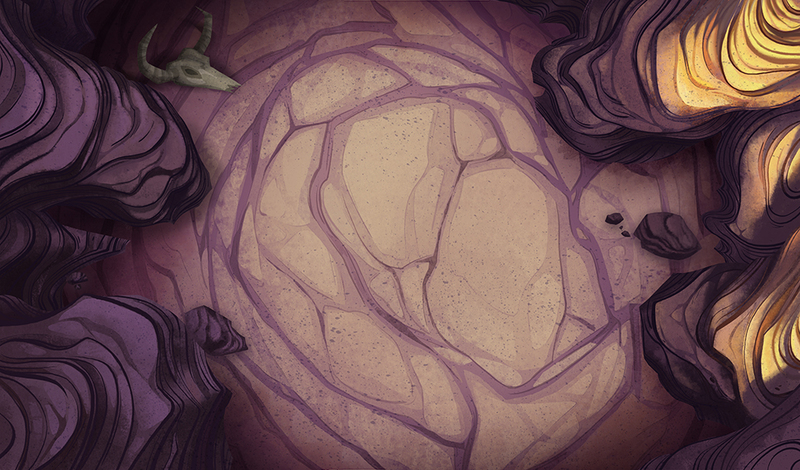 As special power they can use the "Roar of the Elders" to protect the circle of life, formed by the kings of the past. Scar was also leader of the lion guard long before Simba was born, but he tried to use the roar of the elders to overthrow Mufasa. The other members refused to follow him and Scar was forced to leave the lion guard. Actually, that doesn't sound so bad. They will obviously incorporate some part of the movie to make it fit in the lion guard context. Strange is in my opinion this super roar and I fear that the general plot will always be that the hyenas cause some trouble endangering part of the lion guard. Kion needs to find them to make it a little exciting, but in the end he always uses this roar of the elder to win. Update: Found a better video of the D23 Lion Guard event here with the complete live intro of the series. 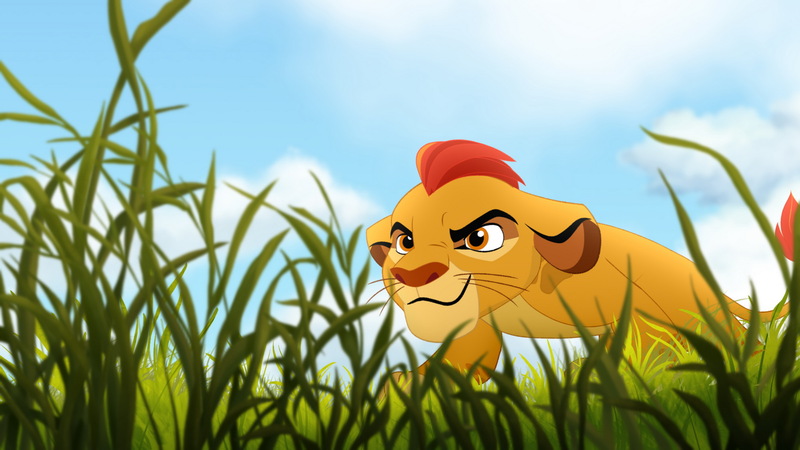 The first trailer of The Lion Guard can be seen on youtube here. You get at least an impression of the style of the series, although in my personal opinion this is not a very good one. At least the soundtrack sounds promising and except for the hyenas the animation is not so bad. There are also more informations on the cast and the outline of the series on the Disney blog. Update: A second trailer, that might be the intro appeared on ew.com. Here is the direct link to the video clip. I will now try to summarize all the information about The Lion Guard on a separate page. Hessen's Tageblatt reports that BB Promotion and Freddy Burger Management wants to open in March 2015 a TLK Musical in the Musical Theater Basel. In addition, TLK now reached a worldwide gross of over 1 billion USD. Meanwhile Hamburg exceeded the 5000 performances at the 14th of January. With the opening, Basel hopes to gain similar popularity like Hamburg, where the musical is an essential part of the tourism economy. 06.15.2014 - Happy 20th anniversary, The Lion King! Every time at this occasion the same question rises, if we celebrate TLK's anniversary at the 15th or 24th of June? Personally I take always the day, when the movie was first published, although it was only a limited audience at a few cinemas across the US. I could repeat now everything which happened after 1994 and how it constantly changed our lives and the fandom, but this was already part of the last big 15th anniversary (Still unfortunately in German, sorry). Instead I could recapitulate the most important events since the last anniversary, but it is enough to either read again another post in the Savannah (and again in German, now I'm feeling really bad about it) or scroll down to recall the latest events. Actually, I simply want to congratulate our favorite movie to this amazing anniversary and I hope it will roar further on and we with it. 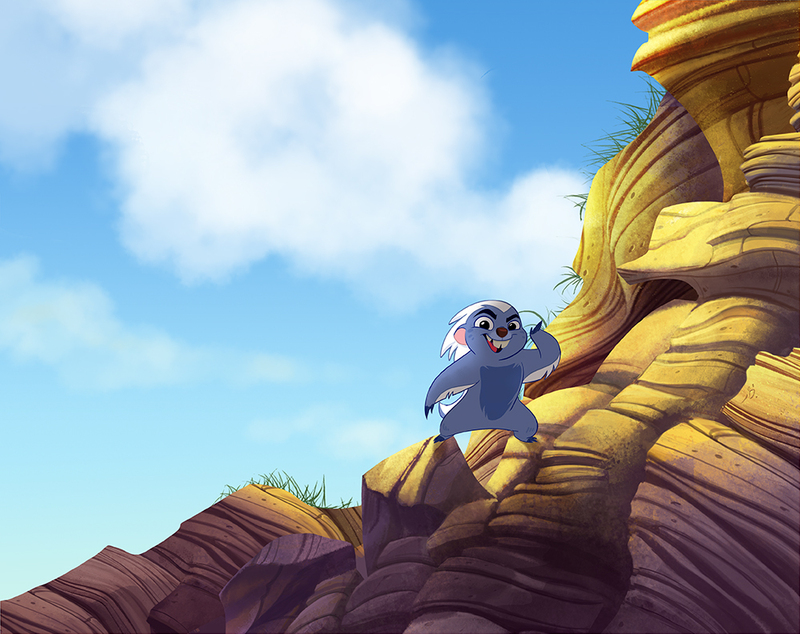 Disney Junior wants to lunch a new series called "The Lion Guard", which is based on our beloved movie. The series is supposed to be centered around Simba and Nala's son Kion, who tries to protect the Pride Lands with a group of other animals. What happens to Kiara is unknown yet. The idea of the series came from a meeting with Ms. Kanter and Disney's CEO Robert Iger two years ago of how to bring TLK to a new generation, also in respect of the upcoming 20th anniversary. "It's kind of like The Lion King meets The Avengers" said the Disney Junior general manager Nancy Kanter. This also stir the hope that Disney will release new merchandising for The Lion Guard / The Lion King. 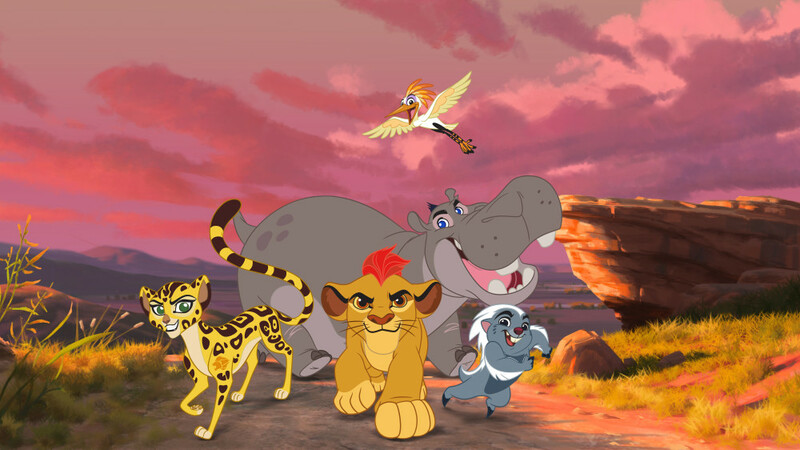 Disney Junior wants to air "The Lion Guard" with an hour long movie in November of 2015 followed by regular episodes the following January 2016 on Disney Junior Channel and the Disney Channel. Also Mufasa, Timon, Pumbaa, Rafiki, Zazu and finally Kiara will also occasionally appear as Kions older sister in the series. Ford Riley ("Special Agent Oso") will serve as developer and executive producer. Director will be Howy Parkins ("Jake and the Never Land Pirates") and composer is Christopher Willis ("Mickey Mouse"). In addition they also pulling in "wildlife education experts" from Disney’s Animal Kingdom theme park to consult on the show. Stitchkingdom reports there will also be in a series of "Legacy Collection" a Lion King version which features the original songs from the motion picture soundtrack but also 30 minutes of unreleased score plus some notes from the producer Don Hahn and composer Hans Zimmer. Although there will not be the complete score on this collection it is really a great surprise that they care at all about our wishes and at least I was looking for an official release of the score for a very long time. Let's hope it will be directly available. And on top of that we know now what they planed for the anniversary, or is there still something else to come? First news for this year, although the news are not 'new' anymore, but perhaps you are interested anyway: The Lion King is named the highest grossing show on Broadway according to BBC and since the news is already almost one year old you can assume that it is a fact now. With more than 850 million USD (at the state of April 2012) it is well deserved I must say, especially when you consider that not all of the shows are on stage all the time. For instance the great Broadway performance period in San Francisco is now over. In addition a new performance will air in São Paulo, Brazil on March 7th, 2013. This Christmas The Lion King will roar for the first time ever in free TV in different countries. The German TV channel RTL will air the movie at 8:15 pm on the 23rd of December. 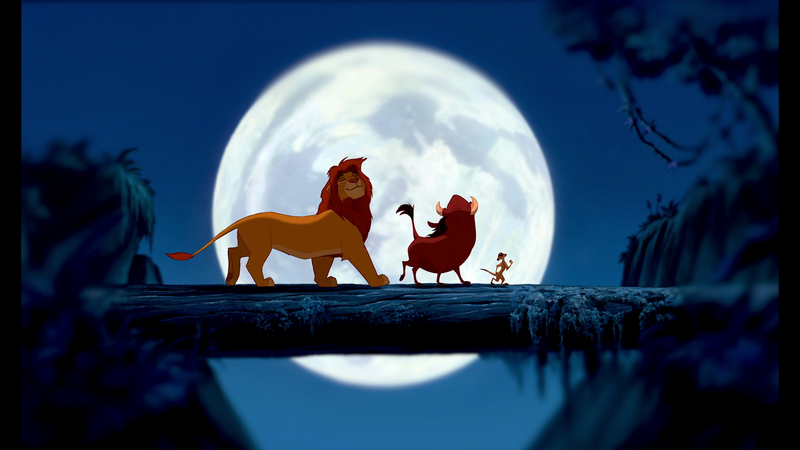 Simba's Pride and The Lion King 3: Hakuna Matata are also shown at 8:15 pm on 27th, respectively 29th of December (2012). Also in other countries like Brazil the movie aired for the first time. Update: 4.8 million people were watching, which corresponds to 13.6 percent market share according to quotenmeter.de. If this includes a new edition of the movies are unknown for now, until I receive the box and check it. I will put it here, when I find out. 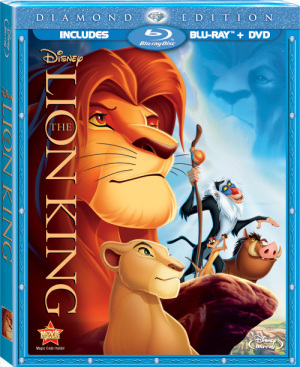 In addition in 6th of Mai 2012 also the Simba's Pride and The Lion King 3 were released in the USA as single DBD or Blu-Ray Combo packages. See here. As you may have read at amazon, or an other online shop, there is a problem with the German audio track in the Simba's Pride Blu-Ray Disc. It manifests in (annoying) high pitch voices, especially in scenes with Vitani and Kiara, and some music scenes. However, Disney offers to exchange the disc, in case you are affected by it. Simply write an email to dvd-fragen@disney.de and receive the instructions for the exchanging process. In my case, it was quite fast, within 3 days. Not all discs seems to be affected, but the problem can also be a bad combination of BD player and BD. A detailed explanation of this problem is still not known and not mentioned by Disney. At least, with the replacement Disc, the problems are solved for many people, but not all of them. The German trilogy Blu-Ray disc Box arrived today. It is a nice, but somehow cheap looking wooden box with an engraving portrait of Simba. It contains all three movies as Blu-Ray Disks, but not the 3D version. This is an extra disc. Also I ordered the special collectors DVD edition with some figure characters. I hope it comes soon. Take a look here. Some more information and pictures will follow soon. The movie started in most of them already and it was supposed to run only for 2 weeks, but due to the big success Disney extended the period, so you can still be lucky and watch the movie in theatres. On the first weekend in the US The Lion King performs best at the box office with a gross of 29.3 million USD. That's a record, only "The Return of the Jedi" was more successful on its re-release. It even outdo three new releases like Contagion, which only grosses 14 million USD. Again, Disney was surprised by its success, expecting only an incoming of 12-13 million. Even on the second weekend TLK is still on the top of the box office slightly eased of down to 22 Million. One reason of its big success is for sure founded in the next generation, who couldn't see the movie in cinema. Their parents, who were kids for 17 years, when TLK was released for the first time and now they show the movie to their kids. In addition, TLK wasn't challenged by other kids movies at these weekends. In most countries the cinema release was planed as advertisement for the Blu-Ray release, mostly two weeks in advanced. So, after two weeks after the cinema release the Blu-Ray should be available. In some countries like Spain or Germany it is on the same day. In Germany it will be the 10th of November. The overall experience of the cinema and the Blu-Ray version is terrific, considering we are dealing with a movie that is 17 years old and the 3D effect was added afterwards. Let's first start with the cinema 3D version. At the moment there is no way to get closer to the Pride Lands than with the 3D version of TLK. 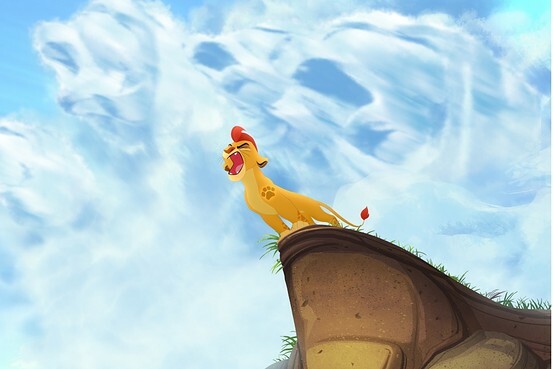 You will be thrilled when you see see Zazu flying over the far landscape of Africa, the heads of all the different animals and to Mufasa on top of Pride Rock, or when Simba is struggling through the thorn bushes or the jungle. The arrangement of the z position of the different plants, rocks and characters are very lovely. Some of them look so real, you want to touch them. The overall impression is heard-warming and I wouldn't believe it, when someone told me for one year that the movie will look like this in 3D. Still, there are some issues that cannot be unmentioned here, although some of them are not surprising: For instance when the Zebras are dashing through the water in the Circle of life scene, the water is only visible in one layer. It's not surprising when you think how difficult it is to even make 2 dimensional drawing of that scene. Also there are some scenes where the focus point are not realistic, which feels strange to the audience e.g. when Nala is lurking in the grass to pounce on Pumbaa, the grass way before and behind is totally focused. But these are only minor things. 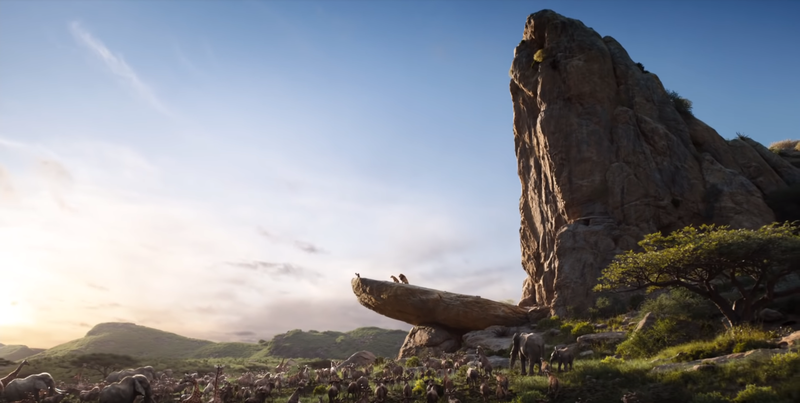 One that spoils the movie, at least a little, is that the retreating clouds in the Mufasas ghost scene are missing when Simba is chasing after him. Also there are some color changes and issues like different tones of the night sky, or Simbas whiskers are orange, when Timon and Pumbaa tried to wake him up, after they found him lying in the desert. The crocodiles in the "I just can't wait to be King" scene are also reworked like in the DVD and IMAX edition. However, the "Morning Report" scene is not in the theaters version. The sound is completely new arranged and mixed as well. The songs are more clear and brilliant now, but the special effects are too decent , or in other words: the sounds are dull. This is especially noticeable during the "Stampede" scene or other action scenes with a high proportion of bass. However, in case the volume is turned to high enough values you won't loose much of the TLK feeling like in the DVD 5.1 sound mix edition, where the main goal was to create a sound mix that really includes the audience into the movie. But the sound mix seems to be the same, so I won't repeat it here. It's still amazing to see the characters, the background... better: the whole movie in such focused high resolution frames. This 40 minutes long documentary video is constructed as a reunion meeting, where some of the artists, the producer and directors meets again to talk about the different stages during the production of TLK. They talking about all the fun they have and the things went wrong. Also they reveal new facts that wasn't heard on the different bonus material before. For instance that Rafiki was supposed to be a cheetah and Scar was a leader of an enemy group of baboons fighting against Mufasas pride. But not all parts are about the movie, they also have a lot of clips about the musical production and interviews with Julie Taymor. In contrast to Pride of The Lion King, A Memoir consist of small interviews with Don Hahn and some clips in between from the DVD and LD bonus feature. Also he talks about the production and the heavy earthquake in Los Angeles in 1994 which forces the team to shift their working place. This is especially hard during the main production stage. 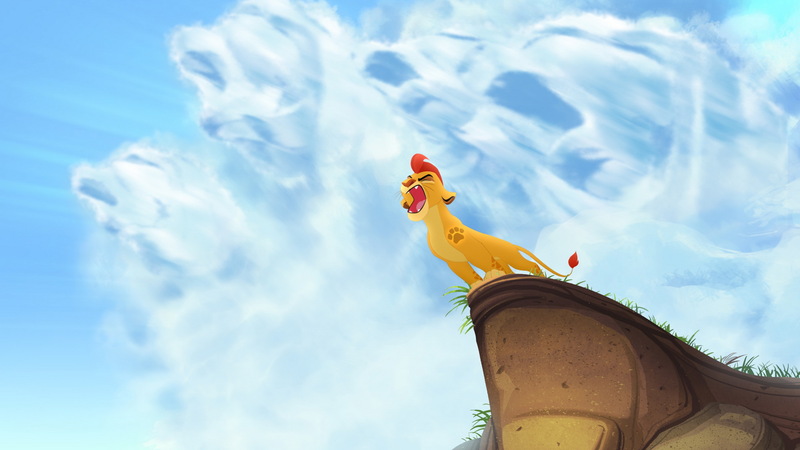 Zazu flatters: As the title already suggested, Zazu tries to flatter Mufasa after he confronted Scar. It's obvious why this one was canceled, because the joke was to bad. Scar wants Nala as his Queen: In this scene Scar tries to convince Nala to be his made, therefore Nala leaves the Pride Lands. This is basically the same scene than in the Broadway musical, so no musical idea at all! Simba and Nala reunited: Nala's exile is picked up again and continued, because now she has another reason beyond finding help in the jungle. Also Timon is there more jealous about losing Simba to this lioness. Zazu flatters Scar: Zazu now has really to compare in words Mufasa and Scar. He tries hard not to lie about Scars regency and somehow he seems to like it. 165 pictures about the different characters as high resolution images. They look great and I didn't see all of them. 115 about Visual design: Great pictures from the early background drawings with the awesome African nature. They would make great desktop pictures. 50 layout and background pictures mostly from the LD. Some artist came together again to draw the scenes of the synchronisation Outtakes and Bloopers from the original recordings. It staring Mufasa, Simba, Timon, Pumbaa, Scar and Nala. In my opinion it's funny and worth watching it. For the German release they also translated everything, but not with all of the original cast, which is rather unfortunate. They would have better do a German synchronisation of the documentary "Pride of The Lion King" and "Don Hahn: A Memoir". In case you want to watch it without using the BD, then take a look on youtube. It should be probably easy to find there. In addition there are an introduction video to 3D featuring Timon and Pumbaa, which reminds me strongly to these "Safety Smart" series. An advanced feature using your computer, or some Apple product like iBook or iPad called Disney's Second Screen is also available. While watching the movie on your Blu-Ray player you can see production notes, fan facts, concept arts, or playing little puzzle games on your computer in sync with the movie. There are some nice hints in there about a character called Mee-Too and Bhati. A lion cub and a fennec, the playmates of Simba. Although the discs didn't contain all the bonus material from the Platinum release - what is really a shame when you think of the space left on the disc - but it's still accessible through a feature called "Disney's Vault". To use it, you need a Blu-Ray disc player with a internet connection, because the content is download to your player. The menu of the BD is beautiful and not such a ugly animation of Zazu like the last one. Instead it contains different scenes of the movie projected at a key point. For example there is a nice background image of Pride Rock and a few clips are projected on it. Then it goes to the elephant graveyard and so on. The menu itself is well structured and you easily find what you want. A compiled table, which is still work in progress, with the comparison of the different medias and bonus features are available here. 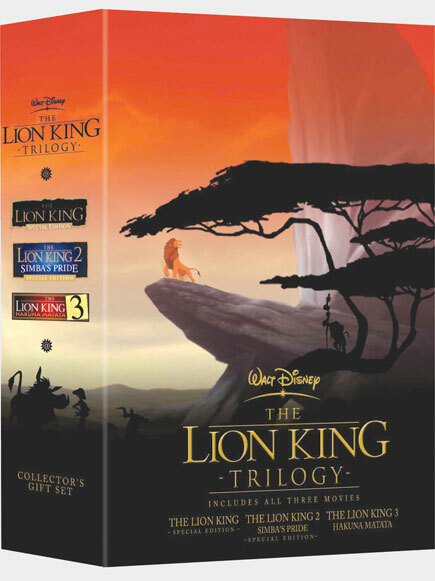 In the trilogy set there is also a Blu-Ray disc version of Simba's Pride and The Lion King 3. Starting with Simba's Pride the image quality is good considering the low-budget production. They cleaned up the characters and the backgrounds, although you can see that the backgrounds are not in such a good shape than on TLK Blu-Ray disc. But it looks much better compared to the DVD version. The sound is good as well, not remixed for 7.1 though, but with 5.1 DTS-HD, which is rather unfortunate, but not surprising. The BD disc contains the same glitches than the DVD version, e.g the "flying" paw of Kiara during her attempt to rescue Zira, or the switching scar from the right to the left ear of Zira. And here again I was amazed by the quality. I've expected much worse. The start menu greets the audience with a few screenshots, concept arts and the "We are one" score as background music. The bonus features are unfortunately the same as in the DVD version, except of a new documentation about insects with Timon and Pumbaa. 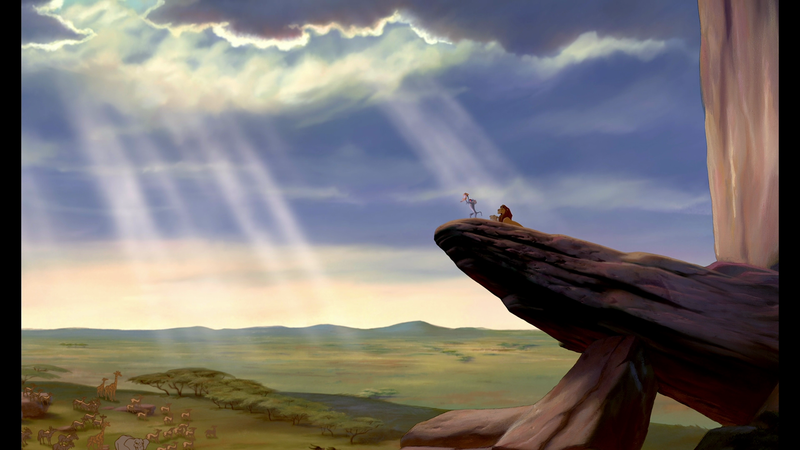 The Lion King 3 is very similar to Simba's Pride. They didn't spend too much time for cleaning up the scenes, but because the movie is much younger the quality is better than in Simba's Pride. 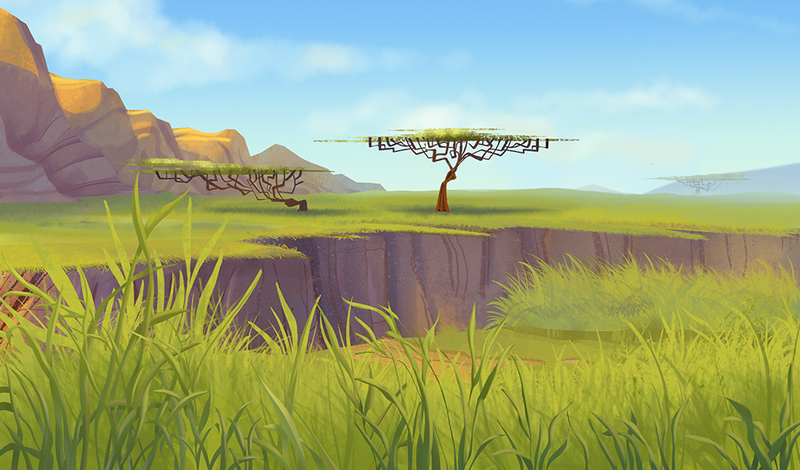 The backgrounds are really nice and can compete against The Lion King ones. But the bonus features are again the same as in the DVD version. The menu of the disc contains short clips from the different stages of the movie. 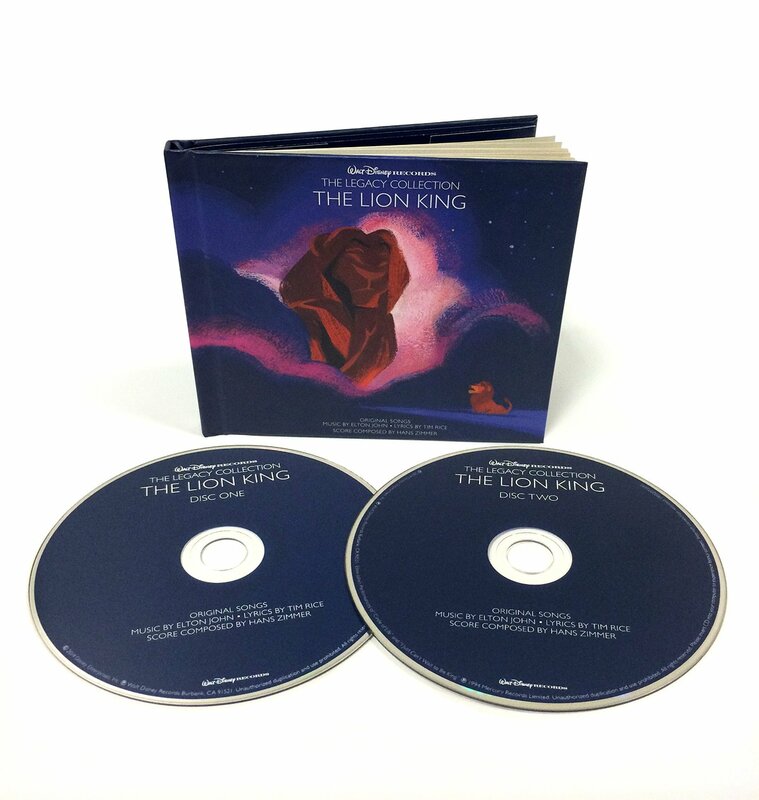 Also there is a German version called "Best of König der Löwen" available, which contains for the first time ever the German songs in Simba's Pride. Unfortunately not all of them are included, though. "Er lebt in dir" and "Ziras Wiegenlied" is not inside, but better than nothing. For the cinema release Disney has released lots of new merchandising like plush toys, clothes, mugs and other goodies. Take a look here. Disney's Virtual Vault: Classic DVD Features Powered By BD-Live! 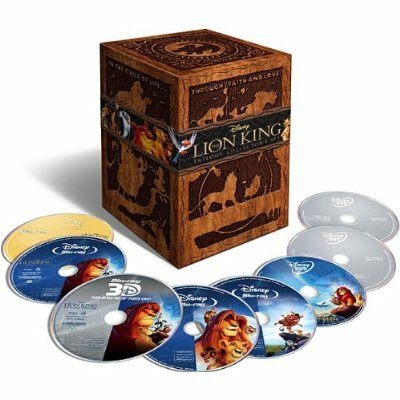 Now a small overview over the different announced boxes: The Lion King 4-disc 3D Combo Pack, containing the TLK BD, a 3D BD, the DVD and a digital copy. Also there will be a 2-disc BD and DVD Combo Pack available and finally the one disc DVD set. And of course the 8-disc collector edition already discussed above. Now some technical specs: The Lion king will appear on BD with a resolution of 1080p and aspect ratio of 1.78:1. Simba's Pride and TLK 1 1/2 will have an aspect ratio of 1.66:1. Concerning the sound, TLK will be for the first time ever available with 7.1 DTS-HD Master Audio in English and for the french and spanish tracks in 5.1 Disney's Enhanced Home Theater Mix (DEHT). It's not very obvious what all this material will contain, but for instance the Memoir could be very similiar to "The Making of The Lion King" with Robert Guillaume. I'm especially interesting in the bloopers and outtakes. This may something what was never seen before. Perhaps I also have found the future poster for the release. It looks better in large resolution, but still a little work on it wouldn't harm anyone. The new title style is what bothers me most. 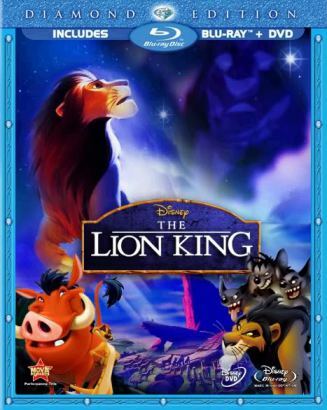 The DVD of The Lion King will be re-released with a new cover as well. It's looking better, but still far from perfect. In general, I don't like these modern, quickly CGI rendered looking covers. 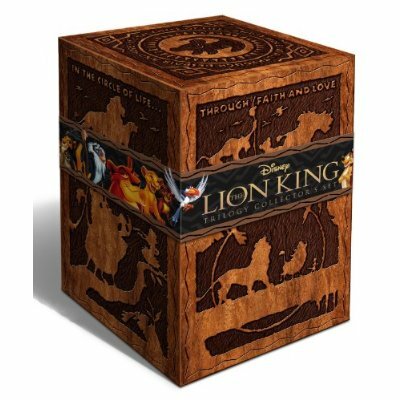 On Amazon.com is the Lion King Eight-Disc Combo Box set available for preorder. It contains the Lion King Diomand Edition and a 3D version on each BD. Surprisingly Simba's Pride and The Lion King: Hakuna Matata will be on board as well. Further there will be a version on DVD for each movie and a digital copy. This is quite a huge box set and the price is just as well. 100 USD, if you preorder the box it is 'only' 74.99 USD. The box itself seems to be very nice, but the DVDs and Blu-Rays still have their questionable cover art. Perhaps this won't be the final layout, so hope for the best. Well, this is a little update about what's going on at the moment: First, there are a few more dates, you will be happy about to hear. The Lion King will be back at the cinema in the United States in October 2011. In Germany the release is planed for November 2011. Further Lori MacPherson, Executive Vice President and General Manager of Walt Disney Studios Home Entertainment, announced at a press conference a 3D version of The Lion King for the Blu-Ray release. The date for this release is now officially confirmed on a flyer in the "Tangled" DVD at least for Fall 2011. He also mentioned Timon and Pumbaa will give a small introduction to the world of 3D in Disney movies to children. And finally, as you can see below, they have improved the cover art for the Blu-Ray release and fixed some issues. It's about time! But still this modern design leaks of the magic and powerful outline from the old layout. In my humble opinion a timeless movie deserves an even timeless design and not some modern hyped 3D looking. Update: It appears to be a fan cover as you can read in the subtitle. But the interesseting thing is, that the assumed original cover is listed there, too. Maybe Amazon didn't updated the article, yet. Nevertheless the rumor mill keeps going. Honestly, it looks very creepy, to say the least. I really hope the final release won't look like that. Further they say in the announcement, there will be some new Menus, of course and new animtion with Timon and Pumbaa, but hopefully they don't look like the guys on the cover. 07.30.2010 - First Lion King Trailer for Diamond Edition? I think this sounds promising, although I have mixed feelings about seeing Simba, Zazu, Rafiki and Co in 3D. At least, they are developing a new technology to convert the images and with it a hope that it might be looking good and will not ruin the best movie in the world. But we will see. Further he says that they are still in the beginning of the process, so it will eventually comes for the 20th birthday of TLK? Unfortunately I have no more information and it was just a wild guess. 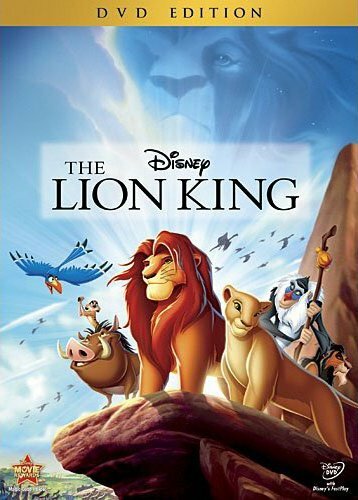 [...] Beyond that, a big October 2011 splash is expected for one of Disney's biggest all-time titles; The Lion King is set to bow on Blu-ray then. As always, all of these plans are subject to change until they're formally announced (and sometimes even after that). But we had to pass this news along to give you an idea of how long you'll be waiting for these highly-anticipated high-def debuts and standard-def returns. 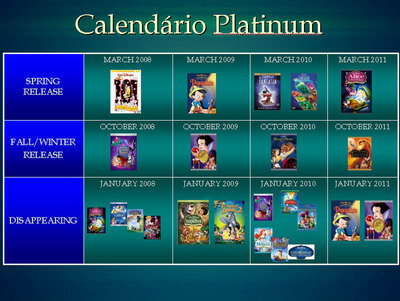 [...] He also posts word there that Disney currently has The Lion King set for BD release in October of 2011. Bang-up job, Jeremy! Unbelievable, but true: The Lion King has its world premiere right today for 15. years in the Radio City Music Hall. I've thought about a lot of things to celebrate this event, but I can't come up with something that fit this historical day properly. So I decide to write down the story about the Lion King in order to set focus on the movie itself. I think it's useless to say, that this is a lifetime job, but I want to highlight some important facts considered with TLK. Well, some time has paste again, but I dig out something new on the web, what might interest you: A notifier for future TLK releases. For some time it wasn't there and it is a nice and interesting step, although I believe the rumor mill will reveal the date much earlier before Disney announce it. But you'll never know. 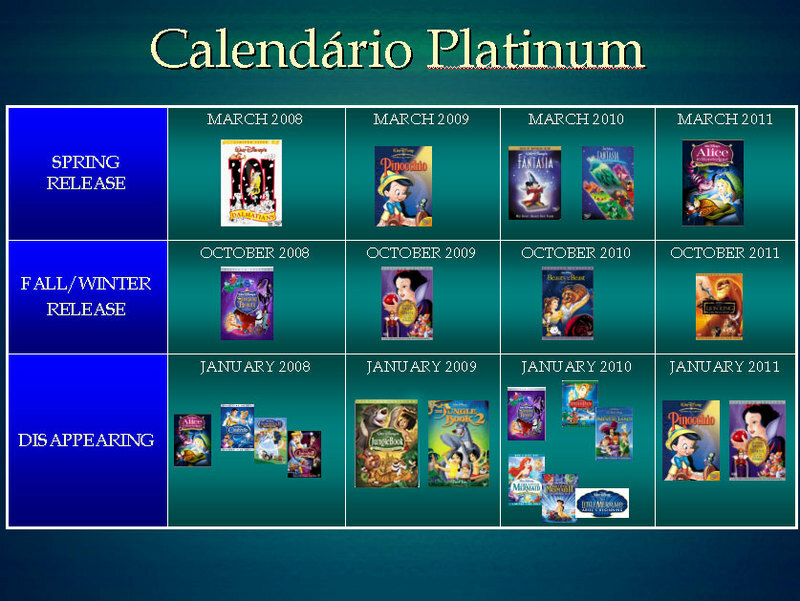 It is from a brazil website, that talk about a conference of Disney, which also took place in Brazil. I don't report this earlier, because I don't know what's true about it. I even don't know, yet. So be careful with such news, but perhaps it's possible to help predicting a release date. And there is another point, I become aware of. The next year will be the 15th anniversary of The Lion King. I don't know how to appreciate this special event, but I hope I will came up with something. 01.17.2007 - The Lion King on Blu-Ray Disk!? I'm looking forward to this release, because I'm interesseting to know in wich way the new standard improves the movie and maybe the audio quality. Furthermore, of course, I hope that Disney takes their time to port the Movie so that we can enjoy TLK on a larger TV, perhaps to get as well the feeling back when we were in theatre or the IMAX, if you have the necessary hardware equipment. Maybe I this year I have enough time to complete or set some more stuff online, anyway. Due to Information from Soti and Andreas Deja (the animator of Scar), there will be a fourth The Lion King Movie. The story take place before Simba to the time where Ahadi was King. We'll see when Mufasa and Scar were young and who Nala's Father really is. Also Disney will use approved method and artists like Hans Zimmer, Lebo M and the old producer Jay Rifkin. Furthermore there will be 5 new songs, where the title of two of them are known, yet: "Follow your path" (by Ahadi) and "The Lion in the moon" (by Uru). For more information please visit the thread on the Savannah, but it's in german. Bernardo C. sends this link, a comprehensive list of voice actors in Kingdom Hearts II. The game is now generally available, Lion King world and all, and Gamespot has a positive review. The official U.S. website for Kingdom Hearts II has been updated with detailed information on the Lion King world and a lot of screenshots (though the dialogue subtitles are still in Japanese). There is also detailed voice cast information on the main news page, in anticipation of the March 28 ship date. KHInsider.com has an official list of the voice actors who will appear in this game; there are lots of big names from original Disney movies, including James Woods as Hades and Bruce Boxleitner as Tron, and appearances by Dan Castellaneta, Christopher Lee, Sean Astin, and others as well, reprising familiar roles or taking over for others. Unfortunately, however, it appears that no original Lion King voice actors are present; but then, nobody else is confirmed for known Lion King roles, so keep an eye on this site for further updates. In it, there's information about an "all-star" voice cast, which suggests that the original voice actors might be featured in the game. As Bernardo C. notes, the IMDB page for the game lists Jeremy Irons as the voice of Scar. If you just can't wait to see how the Pride Lands sequence ends in the upcoming Kingdom Hearts II game, a lengthy video has been posted here showing the climactic battle with Scar (featuring a few additional characters). Ryan R. notes that the U.S. website for Disney/Square Enix's Kingdom Hearts II has gone live. The game, featuring many licensed Disney characters and settings, will reportedly contain a full Lion King world; although the site currently doesn't have information about that world, it's expected that it will be added as more content is developed for the site. 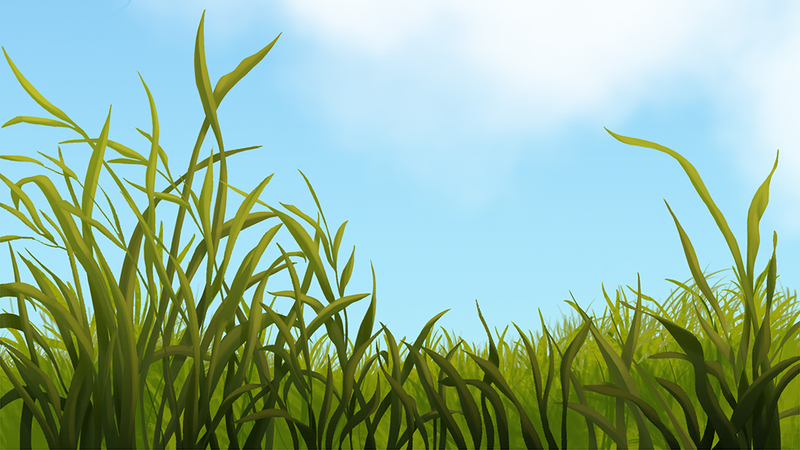 The release date for the game is given by the site as "Spring 2006". The Japanese version (which requires a Japanese PS2) will be released December 22. The English version is widely expected to feature voice work by the included movies' original actors, in keeping with the previous game. Earlier Kingdom Hearts II news and press materials here. 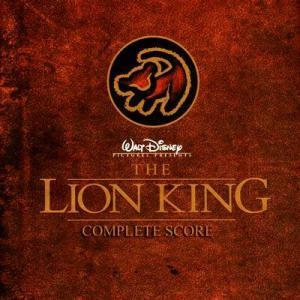 It's been circulating from hand to hand for a while now, but now it's been posted on an official page at Hans-Zimmer.com that a long-lost "Lion King Expanded Score" has appeared on several download sites and is achieving broad acknowledgment among fans of Zimmer's music and TLK alike. This score contains 21 tracks, 16 of which consist of never-before-released instrumental music from Hans Zimmer's original masterpiece score. The linked site contains track information and a message discussion board, where more information can be obtained on how to find a copy of the score. Ryan R. e-mails with this bit of info: I think it should be mentioned that the sequel to Kingdom Hearts(which features Simba as a summon) will have a actual Lion King world. The creator of Kingdom Hearts II, Tetsuya Nomura, has told people in numerous interviews of The Lion King being featured as a stage in Kingdom Hearts II, whereas in Kingdom Hearts 1, the idea for Lion King to be a stage was denied. Hopefully this can get Lion King fans to check it out in the game which will be released this Winter. Sounds like something to look forward to. Ryan mails in a follow-up (09.30.05) that it has yet to be officially confirmed by Square-Enix that the TLK world will be in the game, but it remains a strong possibility. Confirmation of this development is reported; thanks to Zala, Ryan, and Seryi for forwarding the news! High-res scans of the Japanese press material are available at RPGamer.com. An even better site, full of well-processed scans and screenshots, is at Kingdom Hearts Ultimania. The Lion King 1 ½ took home five trophies at last night's DVD Exclusive Awards in Los Angeles. The direct-to-video "in-between-quel" earned the award for Best Animated DVD Movie Premiere, as well as Best Director, Best Screenplay, and Best Editing honors for a DVD premiere. One of the film's lead personalities, sarcastic meerkat Timon (voiced by Nathan Lane, animated by Alexis Stadermann), was commended as Best Animated Character Performance. 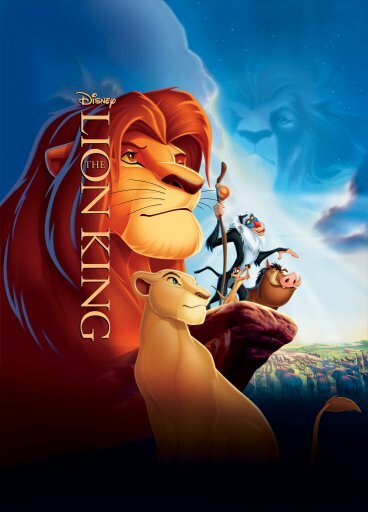 According to Amazon.com , all three Lion King movies are set to be discontinued n January 31, 2005. Get yours now while supplies last! 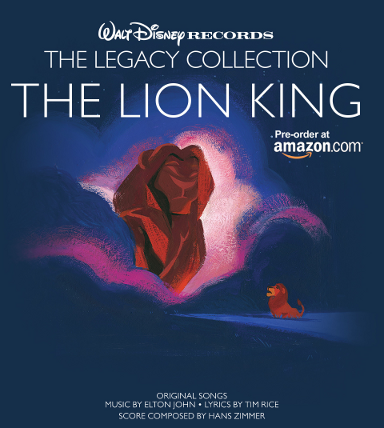 For those fans who still have the means and the desire to play vinyl records, Disney has now apparently released a Vinyl Record Version of the Lion King Special Edition Soundtrack. It's got a unique art overlay (which, I presume, doesn't interfere with the playback), and looks really hot. Might be worth collecting even if you don't have a vinyl record player! Price is $17.99. 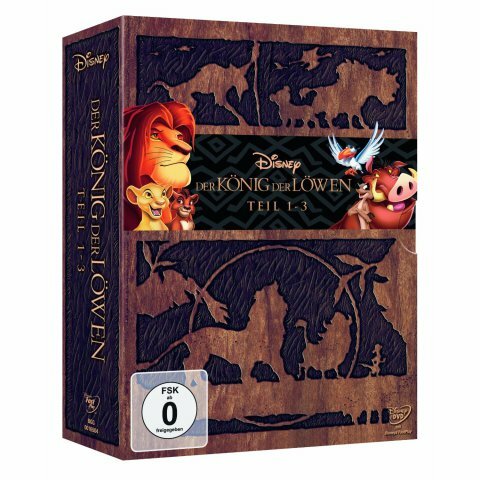 A forum at UltimateDisney.com has the box art for the upcoming TLK Trilogy collection. Looks like it's little more than a bunch of pre-existing clip-art composited together. Too bad they couldn't have commissioned some new original art... but I suppose it could have been worse. Thanks to Lindsay M. for spotting this! 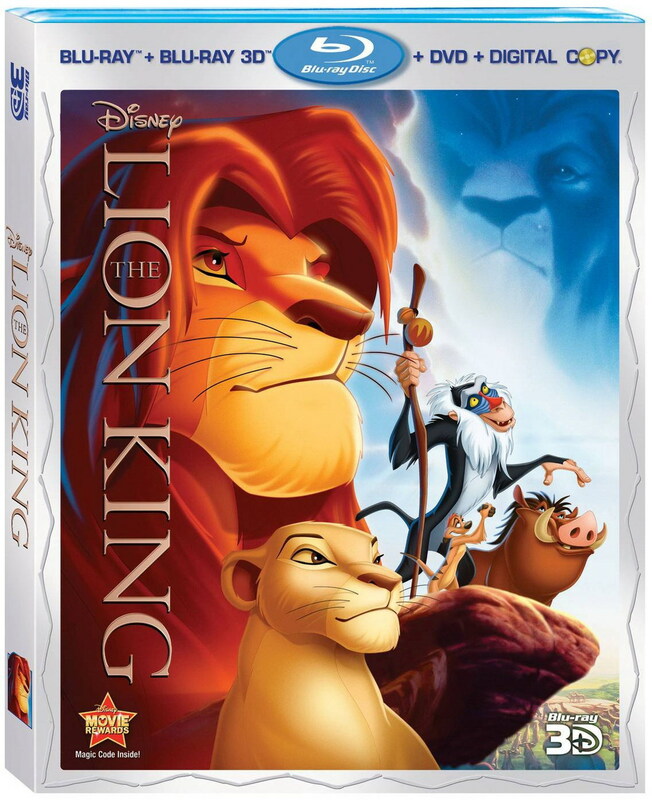 Set for release on December 7, 2004, there's a new six-disc "Lion King Trilogy" set that you can preorder from Amazon.com or Circuit City . List price is $69.99, but the retail chains have lower prices than that. Thanks to Lion Queen for the info! Scroll down to the 05.05.2004 entry to see the box art for this set; also note that it's been out in Region 2 areas (such as the UK) since June 28. Thanks to Mark H. for pointing this out! Best Buy has it too (thanks Bryan B.). The Special Edition re-release of Simba's Pride is now available everywhere, including Wal-Mart and DisneyDVD.com. 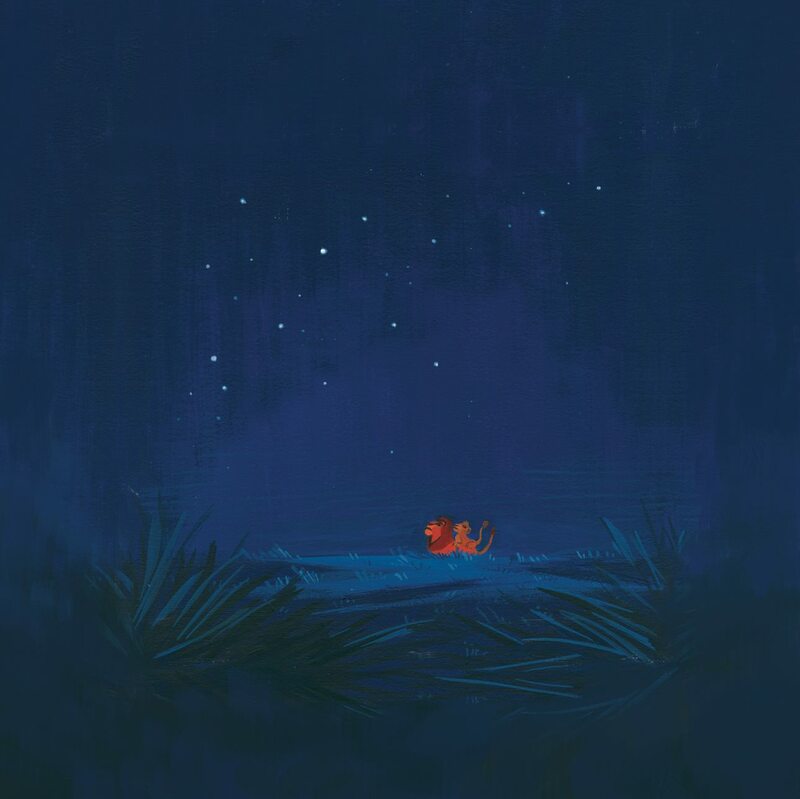 First off, the bonus lithograph pictured on the Disney Store website is the same one that came with the DVD. It comes in a large envelope almost as nice (maybe nicer than) the litho itself. I own the original DVD release of SP but this one actually looks clearer onscreen. I don't know if it's possible that the quality could be better than the original DVD release but I swear it looks better¿for example, during the opening as the sun is rising I see details on the elephants I don't remember seeing before, such as the actual folds of skin whereas in the original DVD all I saw were silhouettes. The colors in general appear a little less intense than the original DVD release in general the film is "not so orange". 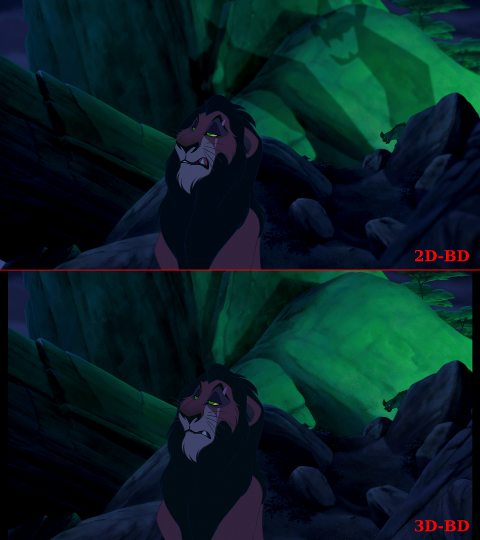 I did see the aforementioned change in Kovu's facial expression during the one instant in the Crocodile Attack screen. Why that was done beats me...he gasps straight at the camera for a split second before turning his head to the left at which point the animation looks identical to the original release. Also I noticed how the screen fades a little faster right after the Upendi sequence so we don't see Kiara and Kovu going from walking to the beat of the song to a regular walk. I had to skim through most of the movie (a bit busy today :) so if there are any other miniscule changes I did not see them¿it'll have to wait either until tomorrow when I get to actually watch the film and maybe for sharper eyes than mine. Chapters are all the same except that the chapter entitled "Alligator Attack" is now called "Crocodile Attack". Menu pages are nice, not nearly as fun as TLK 1.5 but also no horrific 3D animation to deal with as per TLK:SE. The "Matter-Of-Facts" option is a bit annoying turned on¿it supposed to be a pop up of interesting facts you can choose to have on while watching the film. A great idea, except for the fact the pop ups block virtually the entire screen! "One by One" short is an uplifting sequence, using a longer, modified version of the song One by One, about kids escaping their rather depressing town to go to the surrounding veldt to fly kites. "Find out why" shorts are fun but there's only five of them¿I recall quite a few more shorts existed during the One Saturday Morning run. The Timon and Pumbaa's virtual tour is possibly the least interesting of the three virtual tours and here we finally get subjected to some bad 3D animation, including the duo's new pet elephant Gertie (and yes, eventually she starts talking). Rafiki's challenge is a gourd shuffling game that plays for about five rounds. Pride Land Games consist of three games (two mathematical, one a shape game) that are extremely basic. Of all the bonus features, in fact, the Proud of Simba's Pride is by FAR the most interesting. We get to see some of the storyboards, character model sheets, and hear a few lines that never made the film, including one by Mufasa (or more accurately perhaps Mufasa's ghost) where he blames Simba for the war between the Pridelanders and Outlanders. Also, it made me respect what is still my least favorite of the TLK trilogy a little bit more when I learned how some of the things we see in the film were done intentionally to invoke a deeper meaning. For example, the animators explain how during the original we always see Pride Rock from the right but in the sequel it is nearly always shown from the left to cue in viewers that this is a different story to be viewed from a different perspective. They also try to explain some of Simba's behavior during the sequel that I had previously considered irrational. As I said, in all it made me respect TLK 2 just a bit more. So in conclusion: the film looks a bit better and cleaner to me and the bonus features, with the exception of the Proud of Simba's Pride featurette, are disappointing. Which leads me to the question: Where are the deleted scenes? I could've sworn I had read somewhere that some of the pencil tests that have been floating around online for years (i.e., Vitani and Nuka's introductions, Zira's suicide) would be included here. I even played the games and did the safari in the hopes that maybe we would get them as rewards at the end. But there is no sign of these at all. So if someone else figures out that they are on theÂ disc and how to get them, let the rest of us know, OK? The soundtrack has also been re-released, according to DisneyStore.com; it doesn't contain all the songs from "Return to Pride Rock", the original edition of the soundtrack; the original (non-TLK-related) Lebo M. songs have been omitted.